Dan Hurley has a great article today in the Post, about the history and importance of adoption. I have relatives that work in the adoptions for Hamilton County, and I know that the need for adoptive and foster parents is great. In the 1990s, I wrote a history of the Children's Home of Cincinnati published as "One Child at a Time," which I still consider one of the most important projects that I have done as a historian. 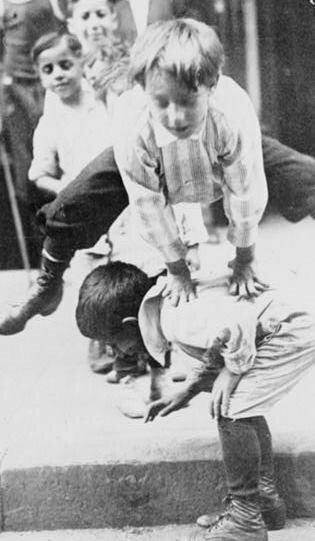 In an age when photography was not much older than the Internet is today, the Children's Home used its power to help place children in good homes. After taking responsibility for a child, the Home's managers consciously contrasted their approach with the Cincinnati Orphan Asylum, founded in 1832. That institution tended to hold the children so long that the children began to regard the asylum as "home." Because the Children's Home believed that the "Divine plan is to set mankind in families not in institutions," the managers sought to "scatter them abroad in good homes" as rapidly as possible. In the late 1880s and 1890s, the average stay in the headquarters at Ninth and Plum streets was just 41 days. The ideal was placement in a Christian home in the countryside. Reflecting Jeffersonian prejudices, the Home's leaders believed that in city streets and alleys poor children learned idleness and vice, whereas on farms operated by good Christian families, the "wheels were kept moving by the oil of industry and love." Very early, the Home recognized the power of photography in furthering its work. Its agents traveled with stacks of photos of children available for placement and its publications were filled with photographs of vulnerable, but hopeful, children, each accompanied by a paragraph describing the child's personality. Perhaps the most dramatic use of photography occurred in 1901 when workers took a photograph of a desperate mother surrounded by her five children on the day she decided to turn over the four older children to the Home. The children are shoeless and dressed in filthy clothes. Their hair is matted and their expressions are blank, barely masking a sense of sadness and fear. A second photo taken 20 days later shows the same children well fed, spotlessly clean and wearing new shoes. The girls are dressed in beautiful striped dresses and the boys sport bows under starched lace collars. The goal of employing photographs of specific children was the same in 1880 as it is in 2007. Those responsible for finding children a stable home are trying to move beyond tables of statistics that appeal to the mind and touch the hearts of prospective parents. Sensitive to potential abuses, the Home insisted that the children had to be fed, clothed and educated as if they were biological members of the family. During his travels, Green repeatedly visited homes where he had placed children to observe the dynamics, and while he placed 1,244 children between 1888 and 1897, he also removed and re-placed 316 children. In 2007, the adoption and foster-care systems have been strengthened to protect the interests of all involved, but the words of Meigs Crouse, superintendent of the Children's Home of Cincinnati in 1893, remain surprisingly fresh: "In saving 'your child,' 'our children,' we are saving ourselves also."